We currently are living in a time where DIY (Do-It-Yourself) projects are a very popular trend. People can save money by choosing to do projects themselves, whether it is building a bed frame out of pallets or designing a Halloween costume for the upcoming season. However, there are some jobs that are much more complicated to do yourself and should be left to professionals — repairing your garage door is one. Even though there are plenty of tutorials on Youtube and other social media channels, repairing your garage door is not something you should consider a DIY project. In most cases, repairing a garage door without the help from a professional can not only end up costing more but also come with multiple risks, that could cause severe damage or injury. Let’s look at a few reasons why repairing your garage door yourself could be a costly decision. We feel it’s necessary to start with this: When you decide to repair your garage door yourself, you may make the situation worse. With years of experience in the industry, we’ve seen simple fixes turn into costly damage and repair. Repairing garages isn’t a simple task; should something go wrong with a DIY repair, you will only cause more damage. Plus, in addition to causing damage to your garage door and opener, you’re also increasing the risk of damaging items inside the garage, including personal items, vehicles, and other belongings. One of the biggest problems that occur when people try fixing their garage door openers is not having access to the appropriate tools that are needed. In fact, most garage door repairs require specific tools that not all homeowners own. In most cases, people will try to repair their opener with the tools they have, even though they aren’t right for the job. Using the wrong tools to perform a repair can increase the chances of extending the damage of the garage door and opener, and can end up ruining your tools. And do we even need to mention the improper use of power tools? Did you know that power tool injuries account for as many as 400,000 annual emergency room visits? Yikes! Doing a garage door opener repair yourself can be dangerous, but using the wrong tools only increases the risks. A common problem with DIY garage door repairs is that most people don’t have the necessary knowledge to properly fix their problem. Although garages seem fairly simple there are some parts and repairs that require a professional understanding. Attempting to fix a problem without having the knowledge or doing the necessary research could result in you trying to fix the wrong part or component. This could end up being a huge waste of time and money! Garage door repairs often require working higher up or closer to the ceiling. Not having the proper equipment and training can lead to a fall that can seriously injure someone. Even if you have a ladder, there is still a risk of falling if you do not know what you are doing. Professionals have the needed equipment and training to perform successful repairs. The two most common garage door spring systems are torsion and extension systems. Although both have proven to be a reliable option for homeowners, they can be very dangerous when doing a repair. 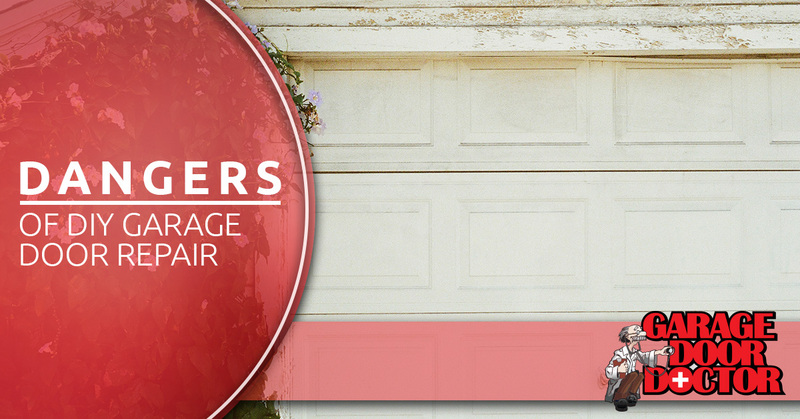 With most garage doors, you can find the torsion springs mounted horizontally above the opening of the door. These springs are tightly wound, causing them to be under extreme tension. If a spring were to break during a DIY repair, it could violently send pieces flying, putting yourself at risk. In addition to people purchasing the wrong springs for a repair, it seems that most people who try to place the torsion springs themselves usually have to end up calling a professional because they are much more complicated to deal with than they seem. Garage door repair services have a proper understanding of torsion springs and how they work; leave it to them for the replacement! Garage doors are extremely heavy. In fact, the common garage door weighs somewhere between 200-500 pounds! The bottom line is garage doors are very heavy. Do-it-yourself repairs could cause the heavy door to fall off the track and cause serious damage to whatever is in its path, including vehicles, the floor, and even more damage to the door itself. When it comes to DIY garage door repairs, there are a lot of common ways that you could cause your garage door to completely collapse, including improper disconnection of the garage door restraints. Professional garage door repair services know the proper precautions to follow so that your garage door doesn’t collapse and cause even more damage. Contact Garage Door Doctor Today! If you have a problem with your garage door, we don’t recommend turning it into a weekend do-it-yourself project. Trying to repair a garage door without having the professional knowledge and experience could end up causing costly damages and injuries. If you have a problem with your garage door or opener in Indianapolis and the surrounding areas, contact the professionals at Garage Door Doctor! 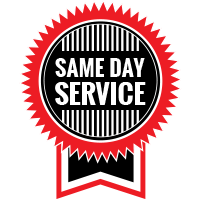 We provide same-day service and appointments so you don’t have to wait or try to perform the repair yourself. 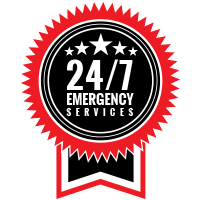 Don’t risk damage or injury, call Garage Door Doctor today for all of your garage door repair needs!